Home » News » Senora Gabriela Moyer’s Clases de Espanol! Senora Gabriela Moyer’s Clases de Espanol! In fifth grade, students have completed maps of Mexico and their caracteristicas geograficas (geographical characteristics). 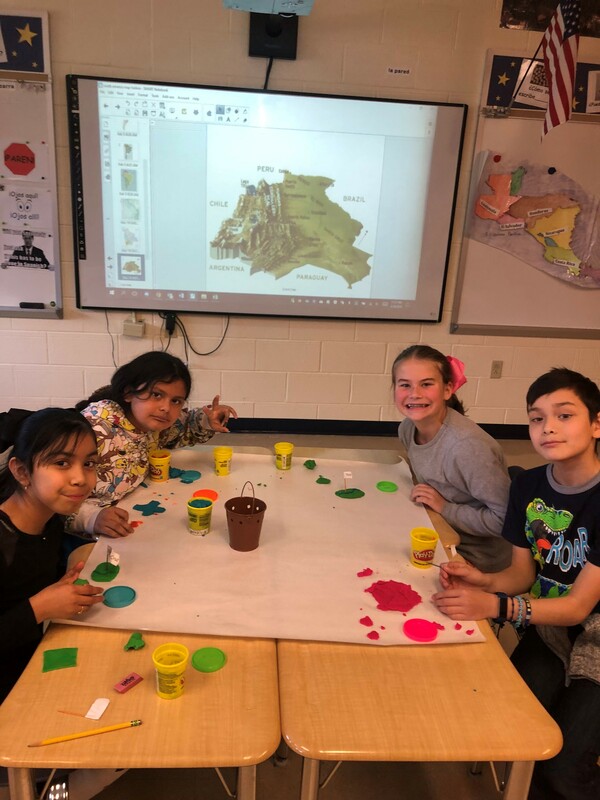 Fourth grade students are working on geographical characteristics of Bolivia and are having a great time creating 3-D maps. 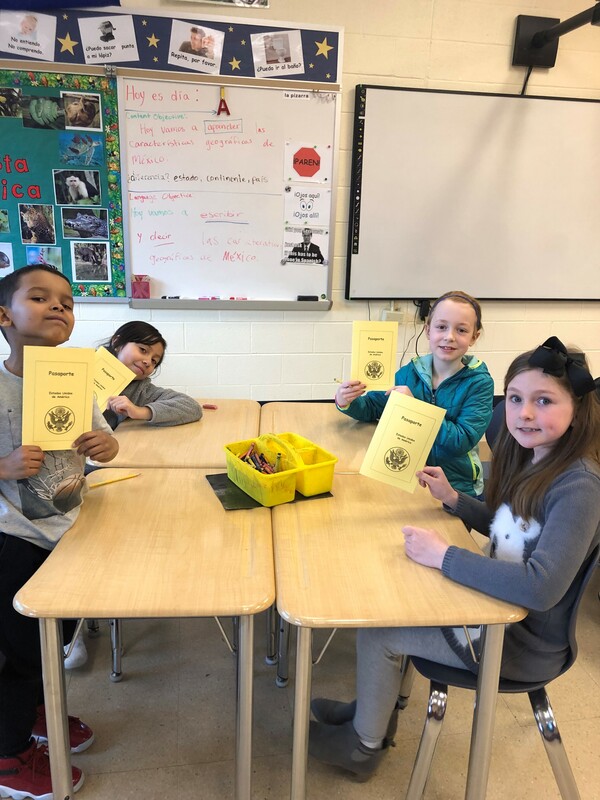 In third grade, students are learning about the Taino people that lived in the Dominican Republic and Puerto Rico before Christopher Columbus landed in the New World. In second grade, students took a virtual trip to Costa Rica where they will be collecting stamps for the different places they will visit. The first place is the jungle! First grade students started their “Familia” book which will tell all about their family. The students will be presenting them to their classmates.